I changed my Gen 1 997 Turbo Tip after two years,a trip to the ring,a few weeks working around Snowdonia with amazing early morning drives to work having bought the car in 2013 with 22K on the clock and taking that mileage up to 46K before changing on the 4th of January. 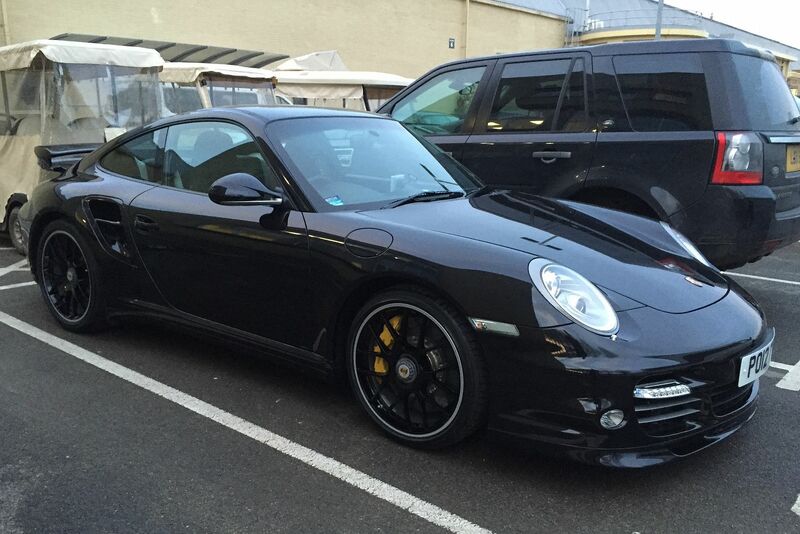 This is my 997 Turbo S bought with 700 miles on the odometer from Porsche Bristol. I don't know the full story of why the car has such a low mileage. It was supplied by Porsche Reading to its first owner and I luckily have all the receipts for the servicing he did with OPC Reading while in his care. It was registered in November 2012 and was bought back into the OPC Network in December 2015. It arrived at my dealers,Porsche Bristol (who I have a great relationship with) and within a few hours I had put a deposit on it. i was aware that it maybe the only 2012 997 Turbo S with less than 1K miles left with only one keeper so the pondering I have been doing for a year trying to decide between Cabrio and hard top was instantly decided. I am a strong believer in going with instinct and heart when the right car comes up and I have found in the past that one needs to make a quick decision when something rare like a low mileage example comes along,particularly with the peace of mind purchasing direct from OPC and specifically my dealer gives me. I had asked Sam Cross at the Bristol dealership to keep his eye out for the right Gen 2 Turbo for me a year earlier and I was prepared to wait another year to get one from Bristol (I live in London but I am so impressed with their customer service I even take my car to them for annual minor services). Anyway,back to the Turbo S.
In the 3 years that the first owner had the car he only drove it 735 miles but did two minor services and a major service in that time all at the supplying dealer OPC Reading. As the car was sold back to Porsche directly after its last minor,unscheduled service (same day) I strongly suspect that something in the showroom caught the owners eye when he went to pick the car up from its service. i am not 100% sure if he was sticking to the stipulated Porsche running in rules but I was pleasantly surprised when I had the over-Rev history printed out by Bristol prior to my purchase and there was not even one single over rev recorded in number 1 rev range. I think this points towards the first owner following Porsche running in procedure or at the very least was mechanically sympathetic. i have decided to continue to run the car in under the assumption the period was never completed. I am not doing short journeys,warming the car up carefully and sticking to less than 4500 rpm while being careful not to labour the engine and changing gear a lot to vary the revs on the motorway even if actual speed is constant. We are currently on 1350 miles,so another 650 to go before I can open her up. In the work car park doing daily driving duties in my 30 mile commute. A great find and a lovely car you have there. brilliant looking spec. Lovely car and an excellent find! Shame the car was unused by the previous owner.. What a wasted time for the car!! Awesome looking car! Great find and that mileage is mad! Now, is that a sat nav on your windscreen? Why are you not using the PCM? Or is it some other tech? And your work car park looks interesting... film studios? Well spotted on both counts! I travel to work on the M4 and M25 and I like to use a Garmin which is partnered by Bluetooth to a Garmin app on my phone which gives me really good real time speed camera information and updates. I need constantly reminding even on sites I know well particularly the variable traps on the M25. 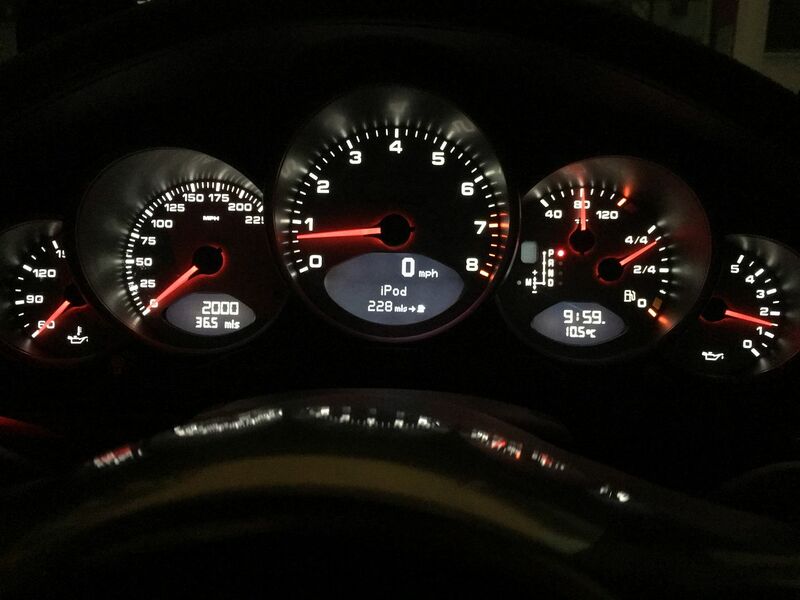 It is so easy to forget about them and in a Porsche before you know it the limit is being exceeded. The Garmin is really excellent in this guise even when I'm not using it for Nav where it is leagues ahead of even PCM3. Yes,the car park shown is the film studio i work at. Yes,the car park shown is the film studio work at. Oooh i like the speed camera updates! Can you just run the app on your phone?! Or do you also need to have the nav devise? 'twas the covered buggies that gave it away. Very Hollywood! There's a guy on here Jaap, a dutch photographer whose day job it is to shoot the stills on film sets. I think he did all the HP films at Elstree. You may know him. Very tall and lovely chap. Has a stunning blue 964 RS-alike. Congratulations, what a nice example you have. LOL @ Jaap being in here - He is working on the same stage as me and has been for the last 6 months.... What a coincidence. The Garmin App needs to work in conjunction with the sat nav to be effective as although the app alone will give locations of cameras it is the actual sat-nav that bleeps. Small world!! So what do you do S? Say 'Hi' to Jaap for me and ask to see his lovely motor! 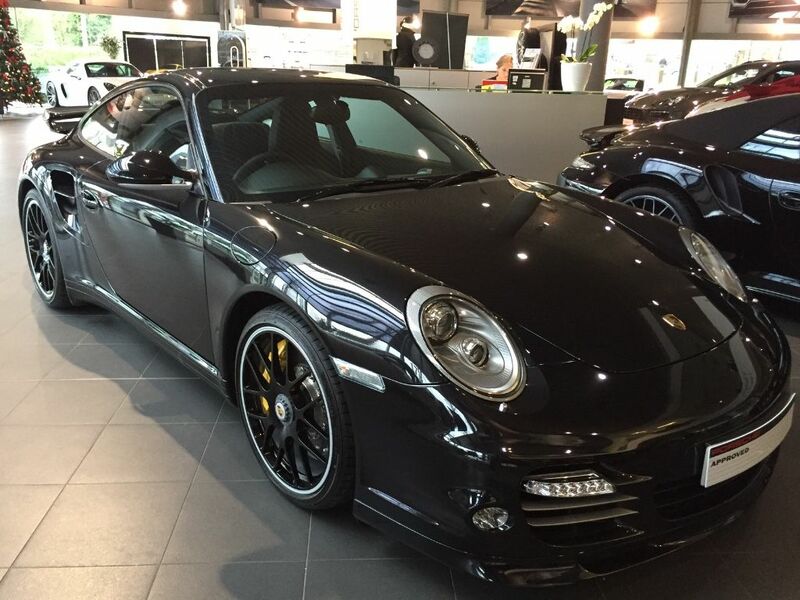 I'm looking forward to hearing how much of an upgrade it is from your 997.1T. i.e, The 'real world' differences rather than the pure stats. Must be great to run it every day , I wish I was in that situation with my job !! What Garmin model sat nav is it you use ? Reached this mileage yesterday,so almost ready to answer questions now the careful running in period has been observed.